Wearing a Google Glass, Keeley Erhardt sits with her teammates in front of a window on which they’ve scrawled ideas in red dry-erase marker. All around her in the atrium of the Electrical Engineering and Computer Science building, laptops abound. 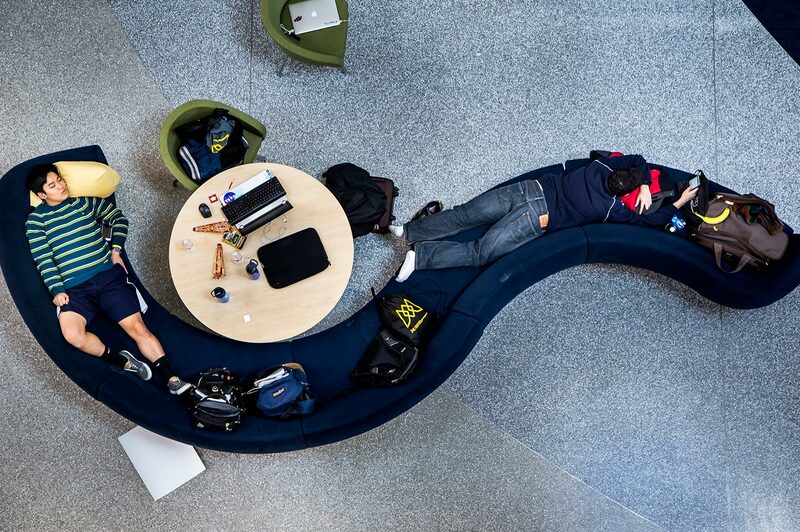 Some students focus on their screens. Others doze in beanbag chairs. A pair is playing a beanbag toss game. 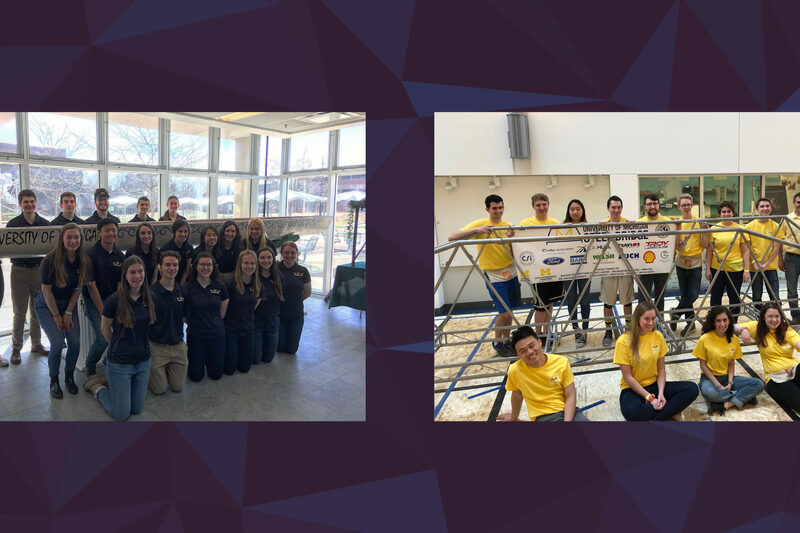 This is the seventh time U-M students have led the organization of this hackathon, which draws students from across the country and at one point swelled to the nation’s largest at a university. But this time, in several important ways, MHacks is different. One of the more striking shifts: There are a lot more women around. “It’s easy to notice the change,” said Erhardt, a veteran hacker studying computer science at MIT. She and her co-ed team built a sort of life coach mobile app that involves either Google Glass or a smartphone and the Amazon Echo to motivate people to achieve their goals. Organizers did this on purpose. For years, MHacks has drawn crowds of more than 1,200 to benevolently “hack” together new software, apps and even objects. It has brought in tens of thousands of dollars in prizes from high-profile sponsors. And it helped turn “hacking” into a veritable sport. But MHacks leadership decided to aim for a welcoming experience this time, as a way to help broaden the ranks in tech. They worked to bring in more women and other underrepresented students, as well as more beginners. Rather than call this MHacks 7, they named it MHacks: Refactor — a nod to a programming term that refers to changing code without changing its external behavior. 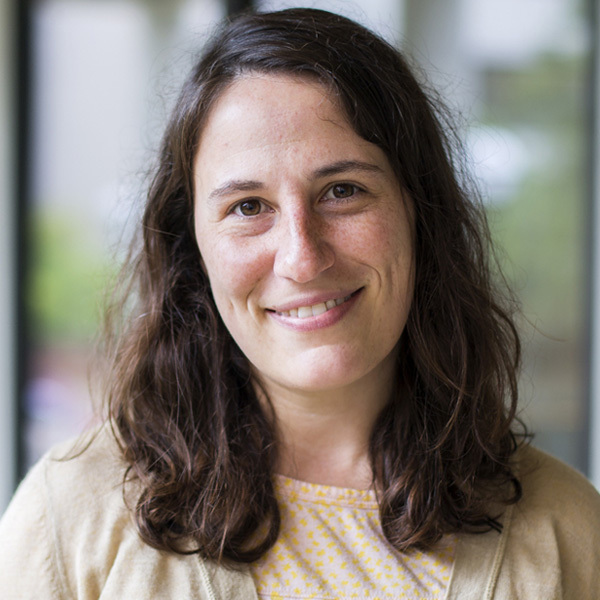 “Right now there’s a serious problem with gender inequality in the tech industry,” said Shayna Mehta, director of logistics for MHacks, and an undergrad studying computer science in LSA. Organizers aimed for a 50-50 male-female gender balance, and they were able to achieve about 35 percent female. 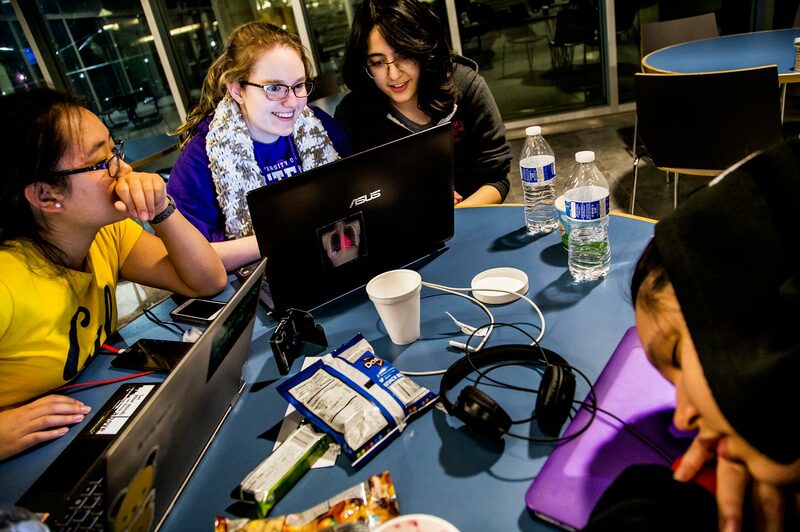 That’s a significant increase over the typical maximum of 20 percent women at MHacks and other large collegiate hackathons. In order to achieve that level of female participation, organizers advertised their goal in advance, as a way to get more women to apply and let everyone know how serious they were. 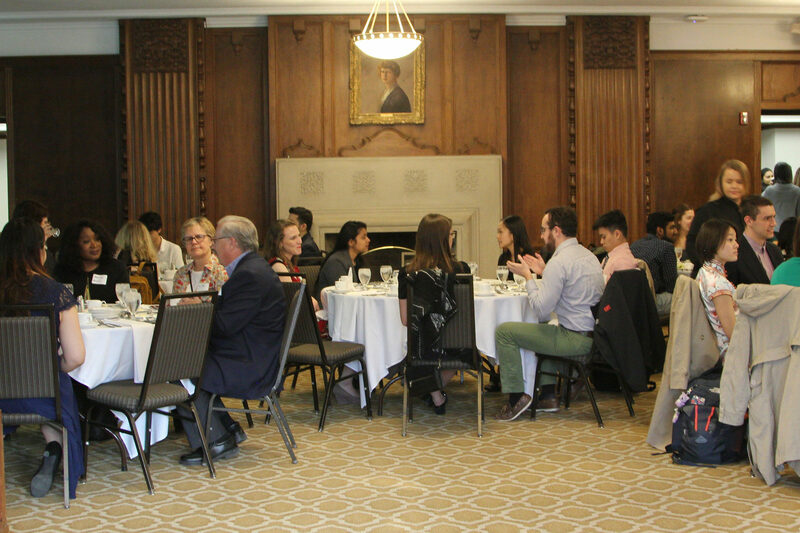 Also this year, they upped the mentor-to-student ratio to 4 to 1. And to foster the inclusive feel, they kept the hackathon smaller, at 600 students. 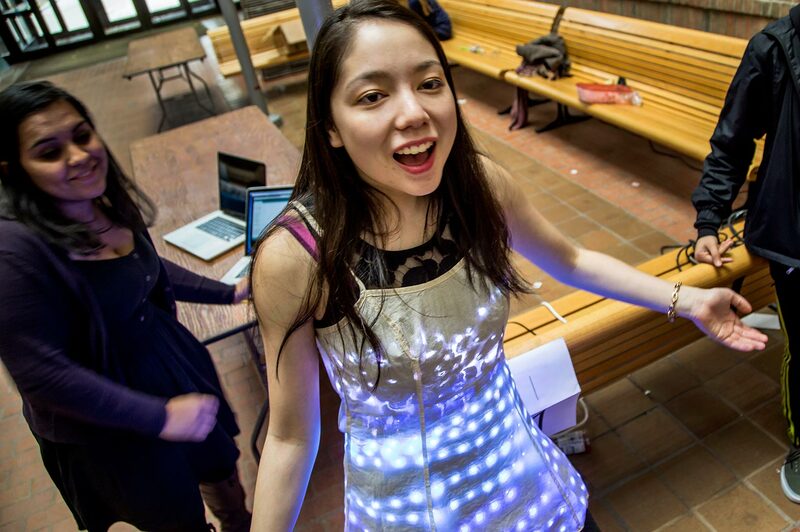 Three of those students came up with a dress that lights up when someone sings a Disney princess’s trademark song. The outfit identifies the tune and turns the same color as the princess’s dress. Team Sing Me a Dress took home one of the hackathon’s top prizes. MHacks: Refactor was presented by the Center for Entrepreneurship at the College of Engineering. 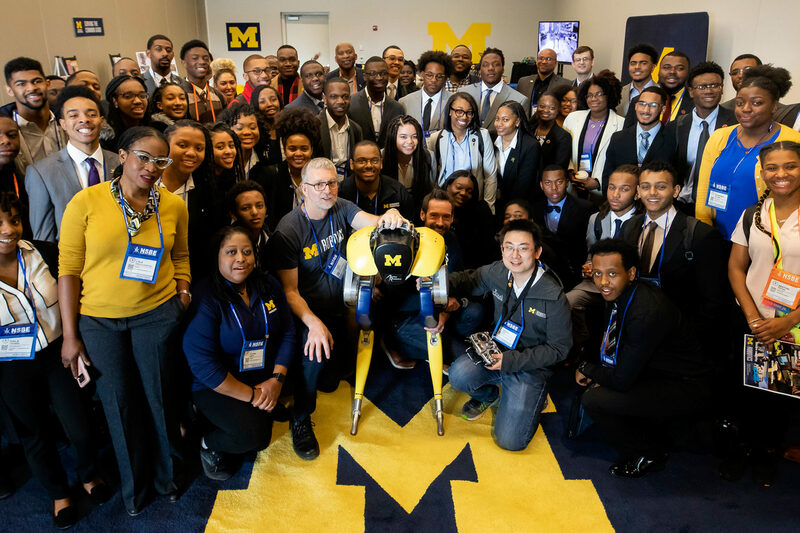 Encouraging entrepreneurship in Michigan is a top priority for the U-M College of Engineering’s transformational campaign currently underway. Find out more about supporting entrepreneurial activities and partnerships in the Victors for Michigan campaign.